Below are some fun items just for us baby boomers. You pay the same low Amazon prices and I get a small commission to help support the cost of publishing Baby Boomer Bliss. Enjoy shopping and thanks! 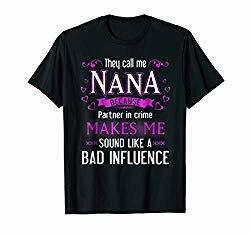 They Call Me Nana Because Partner in Crime Sounds Like a Bad Influence T-Shirt: Okay, this one made me laugh. Amazon has a wide variety of these shirts available for Grandma, Grandpa, Uncle, Aunt, etc. Amazon Echo and Echo Dot: Many savvy baby boomers are crazy about this new technology with Smart speakers that feature a voice-activated assistant, Alexa, who hears you from a distance and follows your commands to do a variety of tasks. Instructions can include playing your favorite music, receiving weather and news updates, setting timers, or answering random questions. This technology is also great for those with physical disabilities. 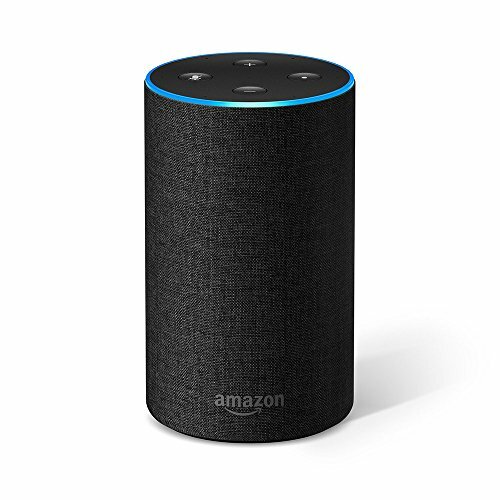 The Amazon Echo is normally priced at $99.99, but if you want to try this new technology out for a lot less, the Amazon Echo Dot has many of the same features and benefits for a much lower price – normally 49.99. And the Echo is portable! 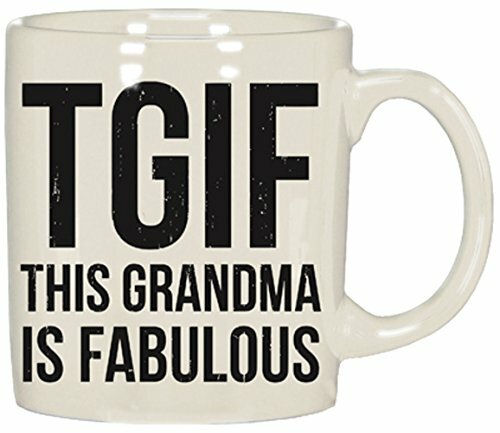 “TGIF This Grandma is Fabulous” Coffee Mug: Love this! Need I say more? 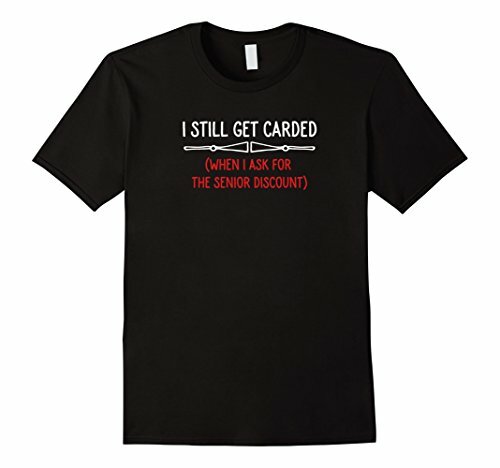 I Still Get Carded (When I Ask for a Senior Discount) T-shirt. I got carded at the Indio Date Festival last year. 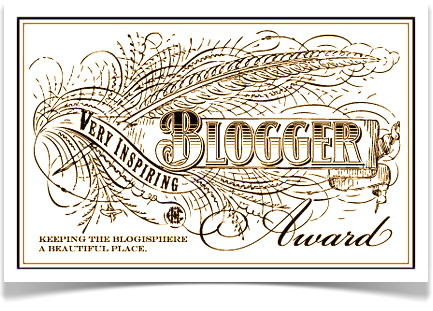 I thanked the woman profusely! 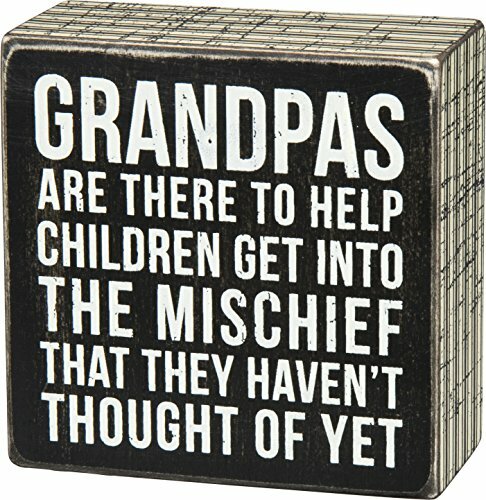 Grandpas Are There to Help Children Get into Mischief That They Haven’t Thought of Yet Box: So true and, at the time of this writing, costs under $10, an affordable gift for Grandpa. He’ll love it! I’m a Grandma. 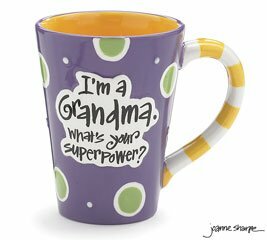 What’s Your Super Power? Coffee Mug. Love it! 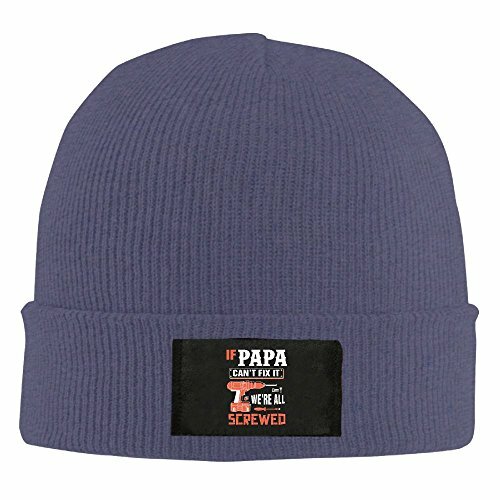 If Papa Can’t Fix It We’re All Screwed Wool Hat: Ain’t it the truth? These are also available in mugs and T-shirts. 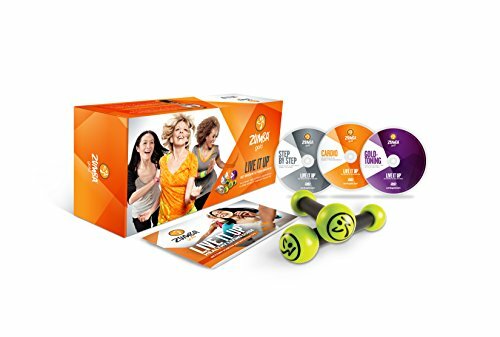 Zumba Fitness Gold Live it Up DVD Set for the Baby Boomer Generation: For some fun exercise…at the time of this writing it was on sale for 20% off. 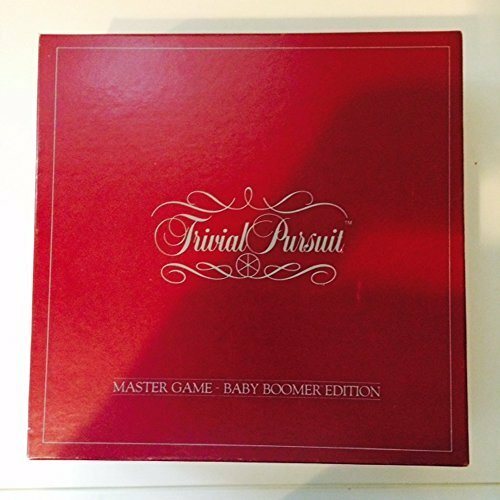 Trivial Pursuit Master Game for Baby Boomers Edition Complete Game: Just for us! 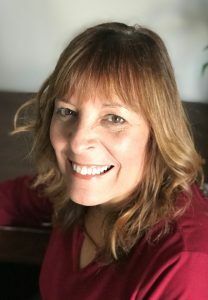 Senior-Friendly Fitness Tracker: A recent Brandeis University study notes that an estimated 20 percent of Americans own a fitness tracker, with increasing popularity among older adults. Those who are the least active get the most benefits. Fitness trackers are great for counting steps, measuring your heart rate, estimating your calorie expenditure, ensuring you’re getting enough exercise, and monitoring the quality of your sleep. Combined with online apps, you can also track your food and see how all these factors add up. 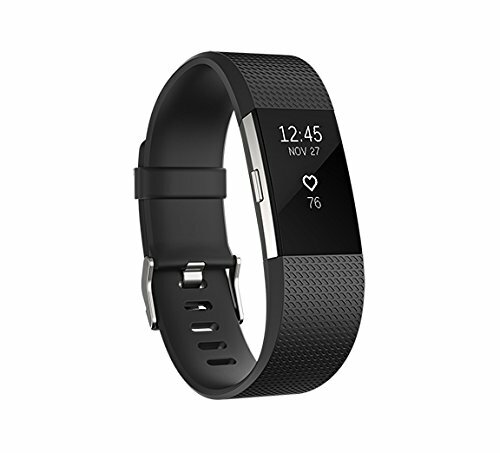 You may want to check out The Fitbit Charge 2, pictured below, which is one of the bestselling fitness trackers and perfect for seniors since it’s easy to use, lightweight, and has a large easy-to-read screen. 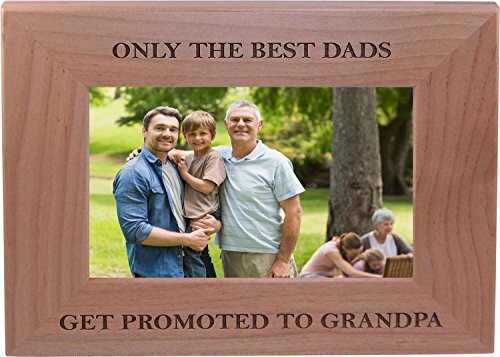 Only the Best Dads Get Promoted to Grandpa. A perfect picture frame for Grandpa and grandchild.